The Tour de Manc cycle sportive is now entering its third year, and this year it’s set to be the best one yet! There are 2 rides, ‘The Full Manc’ which is a grueling 100 mile tour of every borough in Greater Manchester, and ‘The Half Manc’ which is a tough 100km ride of blood, sweat and gears following a similar (but thankfully shorter) route. So what does this have to do with us? 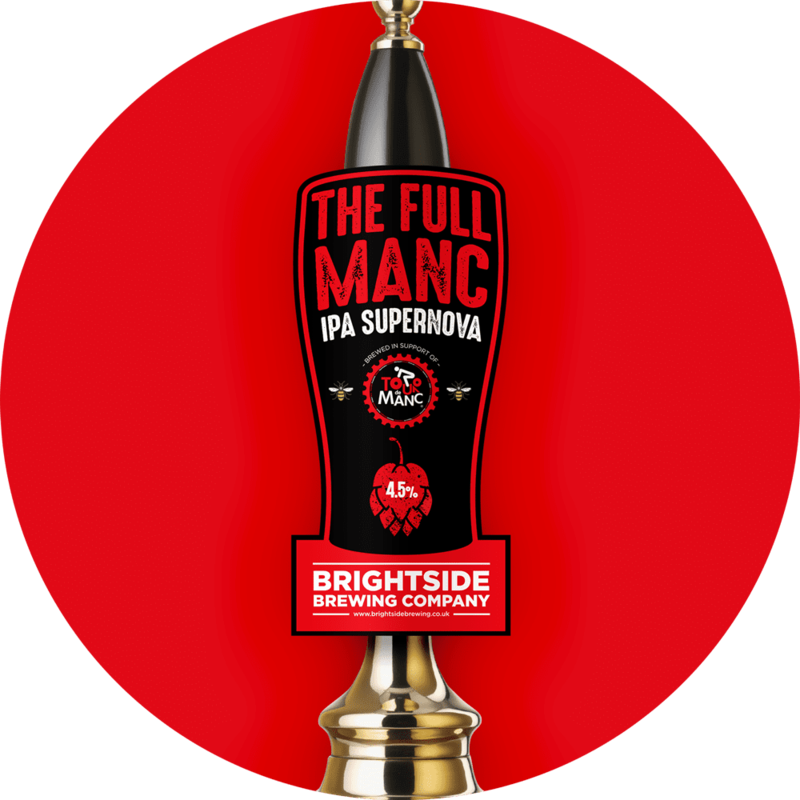 We’re pleased to say that for the second year we’ll be brewing a special beer called ‘The Full Manc IPA’ which is a full flavoured, refreshing IPA to promote the event. You’ll be able to drink it in pubs from W/B 13th March, and for the collectors out there, a 2018 design beer mat will be in circulation. In addition, we’ll be donating beer for the after party – so anyone that takes part in the event can enjoy a tipple after the race. I (Carley) rode the 100km last year and it was a fantastic event; brilliantly organised, with plenty of food stops (jam and cream scones included!!) and a fantastic support team. I’ll be there again this year – shout up if you’re getting involved too – perhaps we could put together a Team Brightside!